Editor’s note: Have you seen the new Lucky Puppy print magazine? Or in the waiting room of your vet’s office? This article appeared in our Fall issue. Subscribe to Dogster and get the magazine delivered to your home. From root vegetables to winter squashes, an abundance of nutritious, delicious, and dog-friendly vegetables is available at the market right now. Let the gray skies and cool air of autumn be your muse as you cook up some tasty edibles. Not only do fall vegetables taste best when cooked, but cooked vegetables are the easiest for your dog to digest. Dogs have short digestive systems, so they don’t get as many nutrients from raw vegetables as people do. These recipes highlight fall produce, and you can enjoy them right along with your dog. Now that’s a reason to celebrate! You can feel good about eating & sharing these snacks with your dog. Beets, both red and golden varieties, contain a powerhouse of antioxi– dant and anti-inflammatory properties, as well as lots of potassium. They are baked with coconut oil, a superfood that’s good for people and dogs. Preheat the oven to 375 degrees Fahrenheit. Scrub the vegetables under running water to remove dirt, dry them well, then peel them. Using a sharp knife or a mandolin, slice the vegetables as thin as you can, about 1 ⁄16- to 1 ⁄8-inch thick. In a large bowl, toss the vegetables with the melted coconut oil until all of the slices are coated evenly. Place the vegetable in a single layer on a baking sheet lined with parchment paper. If necessary, use two baking sheets, or bake the slices in batches. Bake for 15 minutes, then remove and check for doneness. You want them to be crispy, but not burned. Remove any crisps that are done, and return the pan to the oven for five more minutes. Keep checking the crisps every three minutes until all are crisp. 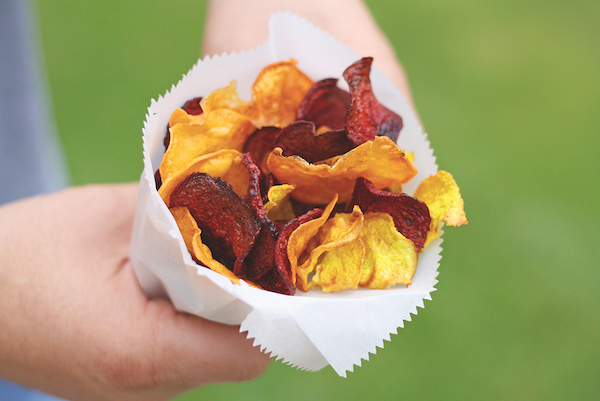 Transfer the crisps to a paper towel and let cool before eating. Season the human’s serving with salt to taste. Store extra crisps in an airtight container for up to one day. 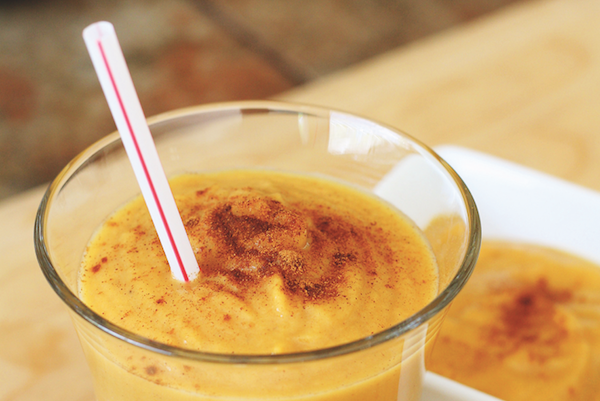 Pumpkin pie smoothie by Nicole Sipe. Combine all ingredients in a blender, and blend until smooth. Pour into a dish for your dog and a glass for yourself, and sprinkle with a pinch of cinnamon. For a thicker smoothie, freeze the banana first, then blend. 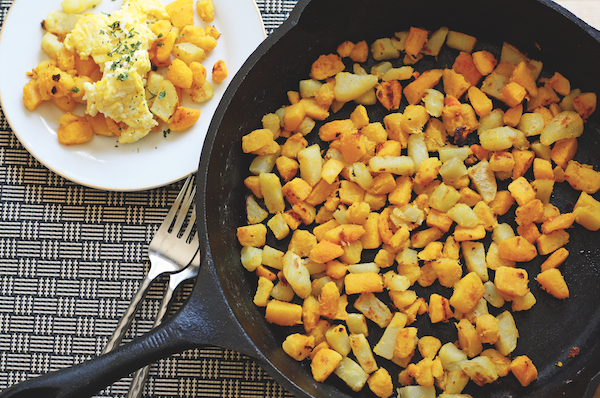 Bring a large pot of water to a boil, then add the chopped butternut squash, acorn squash, and potatoes. Simmer for five minutes, then drain. Pour the olive oil into a large pan or skillet, add the vegetables, and sauté over medium heat until the vegetables become tender with slightly crisp edges, about five to seven minutes. Cool before serving to your dog. Serve your dog’s portion plain, or add protein with a scrambled egg on top. Season the human’s serving with salt and pepper to taste, and add a fried or scrambled egg, if desired. The post Fall Fruit and Veggie Recipes You Can Enjoy With Your Dog appeared first on Dogster.